Not so long ago, Tiddly Inks, had a Make it Mini Challenge, which rather caught Barbara's eye. So, this week, over at Little Miss Muffet Stamps, we're casing Tiddly Inks, and having a Make it Mini Challenge too! So, with a small mission required, I thought I'd do another page for my ATC Journal. Job done! This is so genius Faye. I love the torn paper in the background. Absolutely adorable, and an awesome mini make. LOVE! Awwwww that image is just adorable and your colouring is totally amazing! So cute! I love the idea of an ATC journal...do you just put your fav images in it?? This is so cute and your colouring is wonderful! Love his hat. Sooooooo adorable and soooooo fab colored! 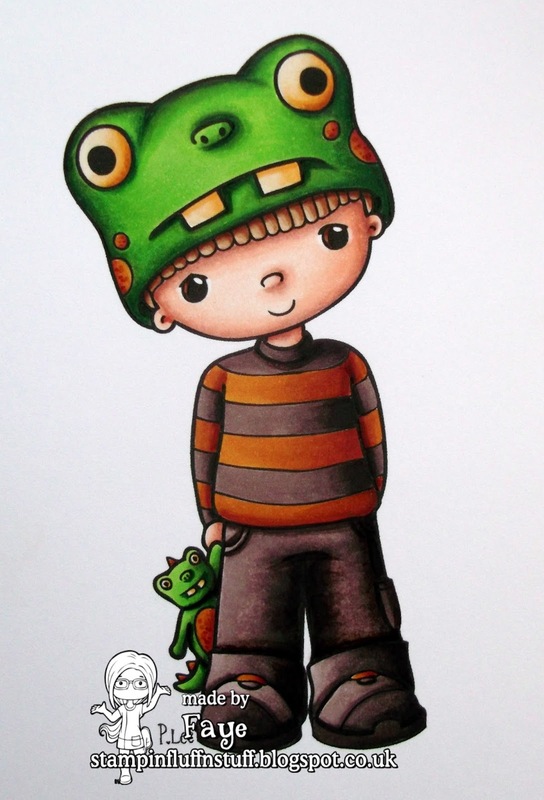 Beautiful colouring Faye and love the adorable little image,he is fabulous with his monster hat on...so cute. 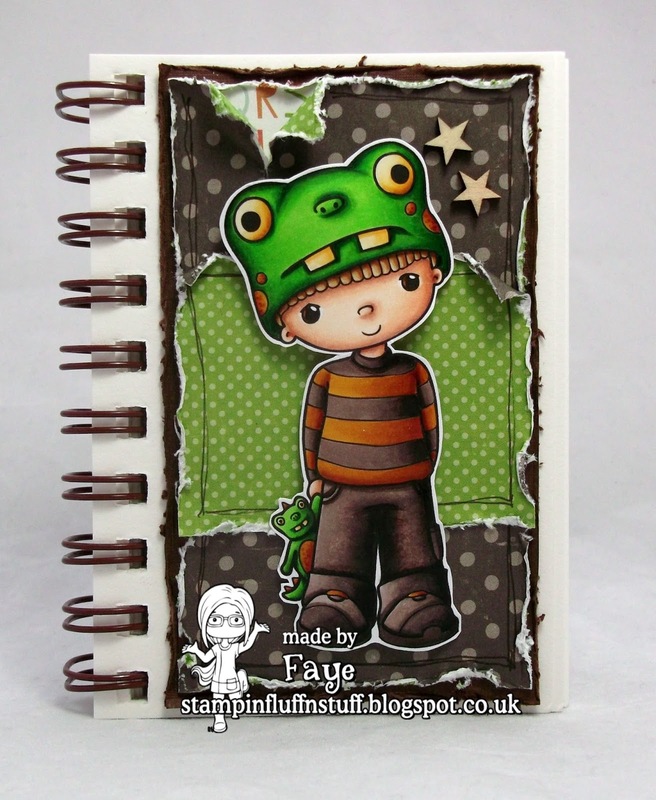 Wow its gorgeous, so want to do one of these, great for practicing my colouring too Faye. Loving your little man.... and both of his froggies! And LOVE the idea of a journal rather than a card! He's so sweet and he's got the funniest little hat! Nice doodling and distressing!